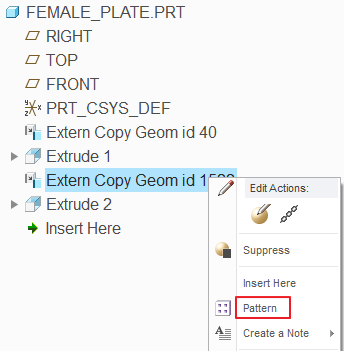 The External Copy Geometry (ECG) functionality copies geometry from model to model without copying the geometry in the context of the assembly. 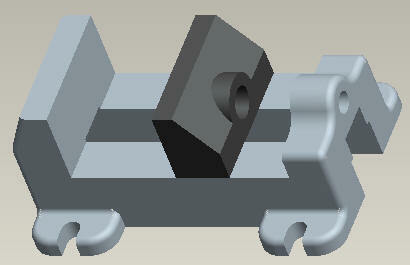 Dependency on the assembly and all models along the path between the two components is avoided. In this chapter we will see the differences between Internal Copy Geometry Feature and External Copy Geometry. We will also learn different methods of creating ECG feature. 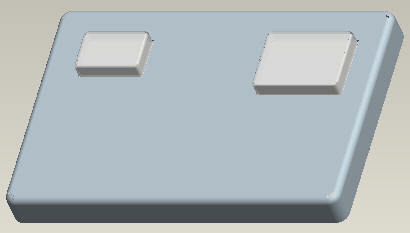 The basic difference between a Copy Geometry and External Copy Geometry Feature. How to create a reference pattern in a component by referencing a pattern in the skeleton model.